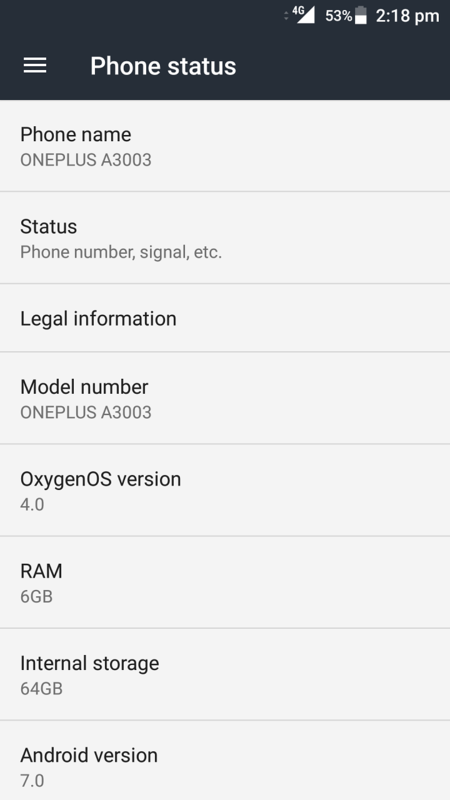 I have installed the OOS Open Beta 8 on my OnePlus 3 and it is working perfect. I’m going to explain every step I took to install this on my OnePlus 3. Backup of your personal data is very important. So, back them up in your computer or cloud. In this tutorial I’m going to explain how to install this Android 7.0 Nougat update on OnePlus 3 via TWRP. If you are on Beta 7, you can dirty flash after wiping the cache. This guide is for experienced users only. I do not take any responsibility if you damage your device. If you want to know more or having issues visit the XDA forum thread from the bottom of this post. You definitely need to have an OnePlus 3. On other phones it will not work and may brick your phone. You need to have TWRP Recovery version 3.0.2-1.28 installed. Download it from here and copy it to internal storage of your OnePlus 3. 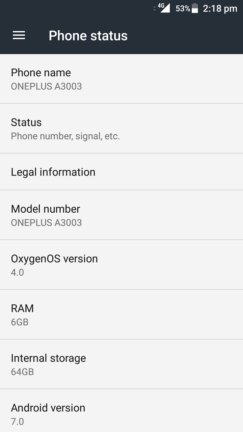 Download OOS Open Beta 8 (OnePlus3Oxygen_16_OTA_016_all_1611302306_cc5d2327b14247fd.zip) 1.3GB from Google Drive – https://drive.google.com/file/d/0B8Ad5G5c6vtcOGxwY29nQ0FySGc/ or Android File Host –https://www.androidfilehost.com/?fid=313042859668276492 and copy it to internal storage of your OnePlus 3. 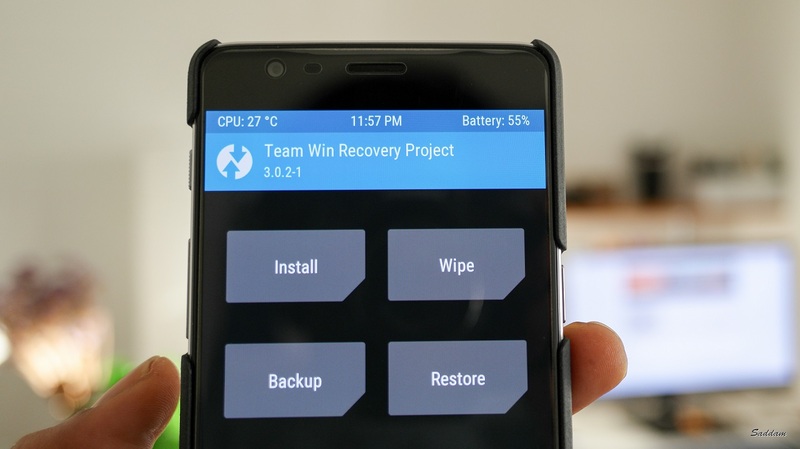 Reboot to your current TWRP recovery. Press Install > Press Image. Select twrp-3.0.2-1.28-oneplus3.img and swipe to install the recovery required to install the Nougat Beta for OnePlus 3. Now that our requirements done, let’s reboot your phone to recovery again to proceed with installation of OOS Open Beta 8. Once you are booted to the latest TWRP recovery you need to make sure to wipe everything. A clean installation is highly recommended. You can dirty flash only if you are flashing over another beta build. Select Wipe > Advanced Wipe. Tick Dalvik / ART Cache, Cache, Data & System then Swipe to Wipe. After the wipe is complete, go back to the home screen and press Install. Select the OnePlus3Oxygen_16_OTA_016_all_1611302306_cc5d2327b14247fd.zip from your SDcard and swipe to install the image. If you want to have root access, follow the next step. Otherwise, reboot your phone, finish the setup and enjoy. If you want to have root, you just need to flash the SuperSU zip file after the ROM. Or, you can simply hit Add more zips after adding the ROM in step 2. This will install the SuperSU binary and the app in your phone. Hope this helps you to install Android 7.0 beta on your OnePlus 3. If you have any issues or want to know more visit this XDA developers forum thread. This thread contains a lot of useful information and detailed guide and troubleshooting tips.